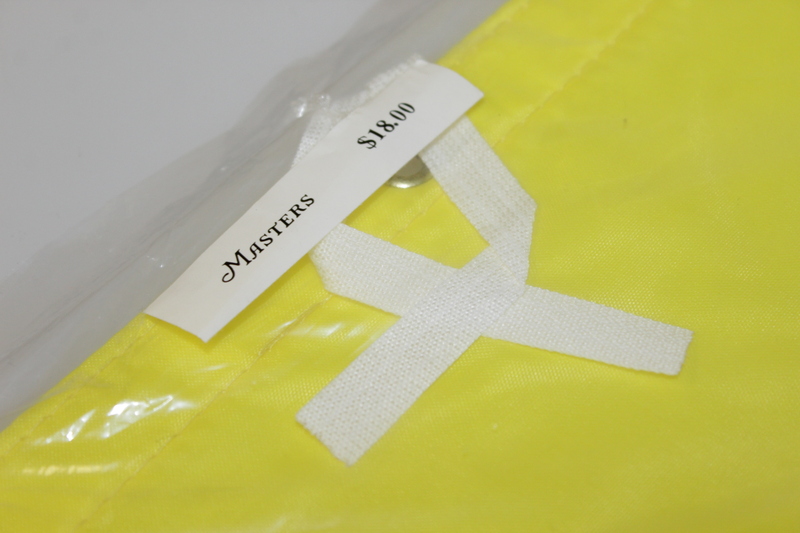 Lot Detail - Unopened 1997 Masters Embroidered Center Flag - Rare - The One To Own! 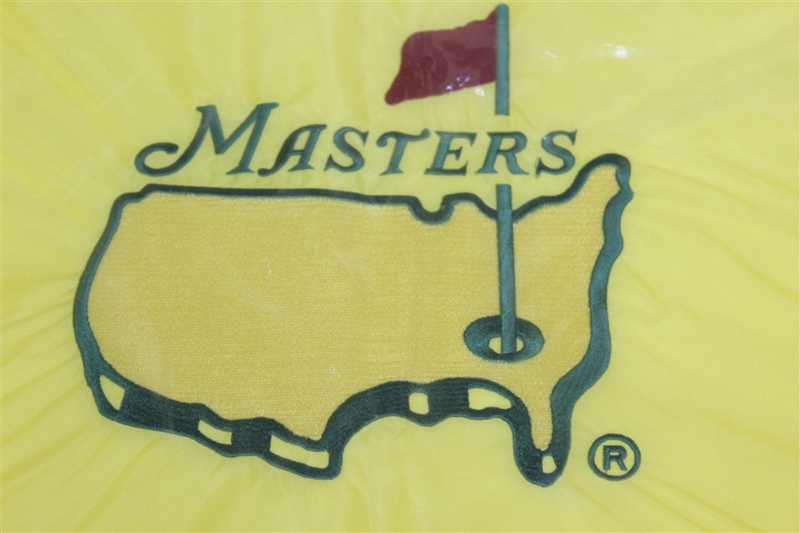 Unopened 1997 Masters Embroidered Center Flag - Rare - The One To Own! During the 1980's Reese's Peanut Butter Cups ran commercials with two people colliding, one carrying chocolate and the other peanut butter. This collision and the ensuing mixture of chocolate and peanut butter caused a great product and the Reese's slogan of the day "Two great tastes that taste great together." A similar collision of two great products occurred at the 1997 Masters, and when combined led to one of the most prized items in golf collecting today. In 1997, the Augusta National featured a new pin flag in their vast souvenir shop at the Masters. 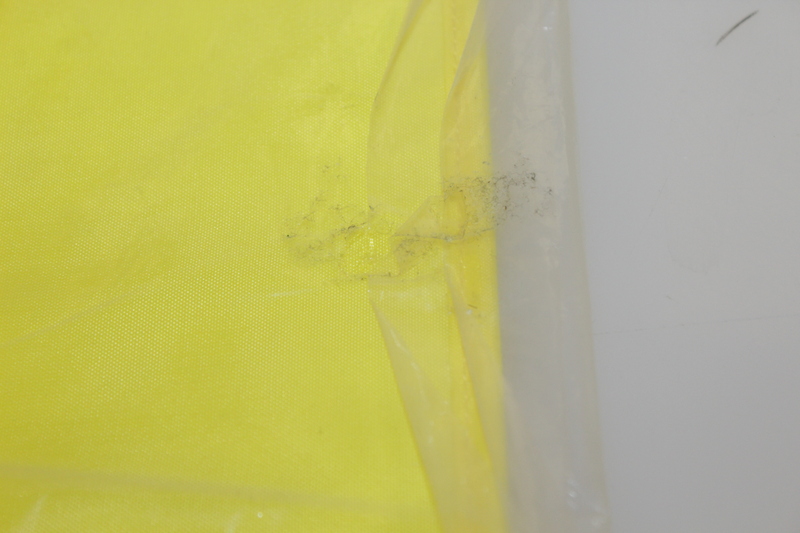 This for the first time was a heavier yellow nylon material, measuring 17 3/4 X 12 3/4 with grommets. 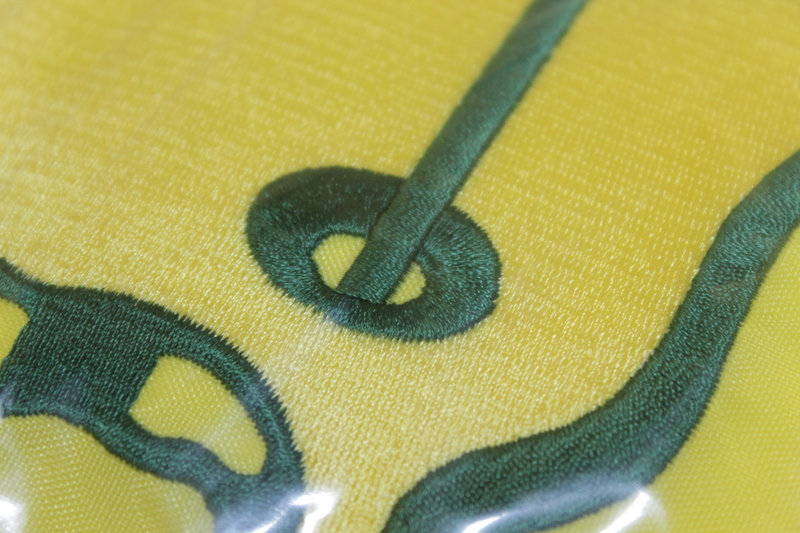 It also featured a completely embroidered center logo of the United States. This new flag was more receptive to a good looking signature for autograph fans using "sharpie pens". An instant hit with Masters patrons, this flag sold out early in the week of the Masters and this version has never been sold again through the Augusta National. Introduced in 1997 at the Masters in his first appearance as a professional golfer at the tournament, he had appeared previously as an amateur, was Tiger Woods. As the flag took souvenir hunters by storm that week, Tiger took the world of golf that week by storm winning the Masters by 12 strokes for his first Major victory. His(-18)score set the tournament record for low four day score. In the aftermath, we all know that Tiger has gone on to three more Masters titles and acclaim as the "Most Marketable Athlete in the World". 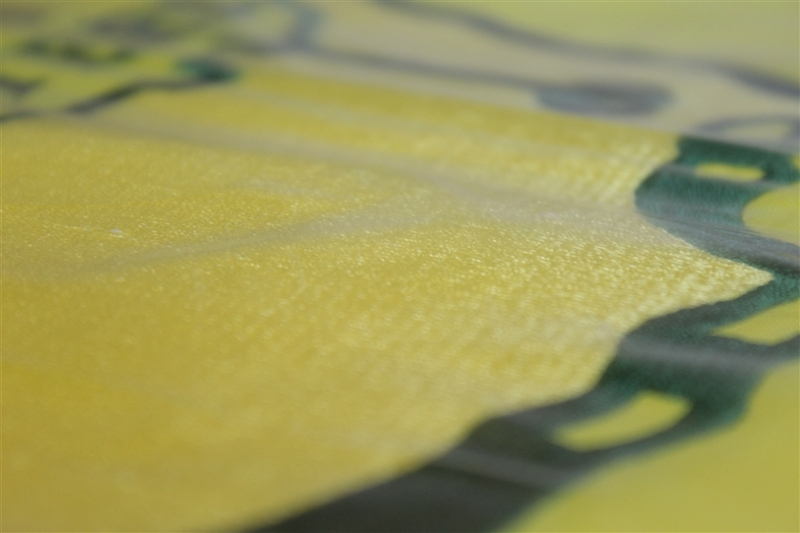 Meanwhile the Masters pinflag have become the item of choice for golf autograph collectors today. 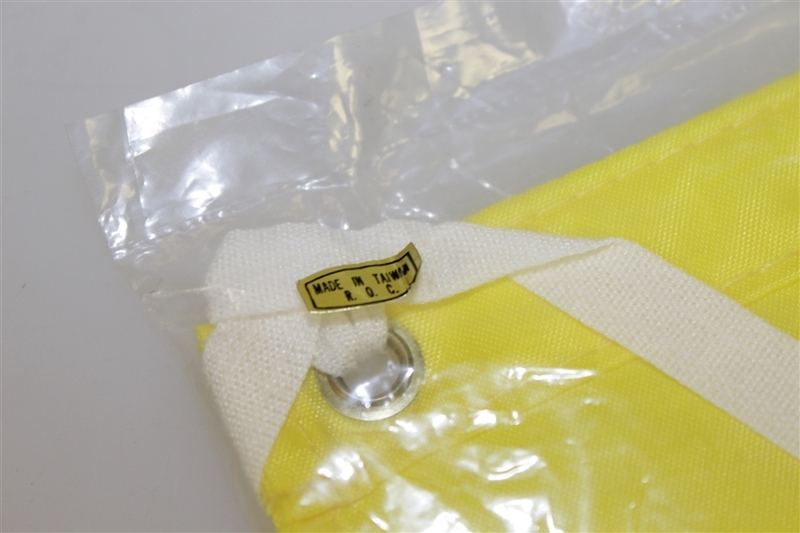 The collision of these two great marketable items Tiger to the golf world, and a one-year styled pin flag from that memorable 1997 Masters have led to a huge secondary market for the limited number of 1997 Masters flags available. 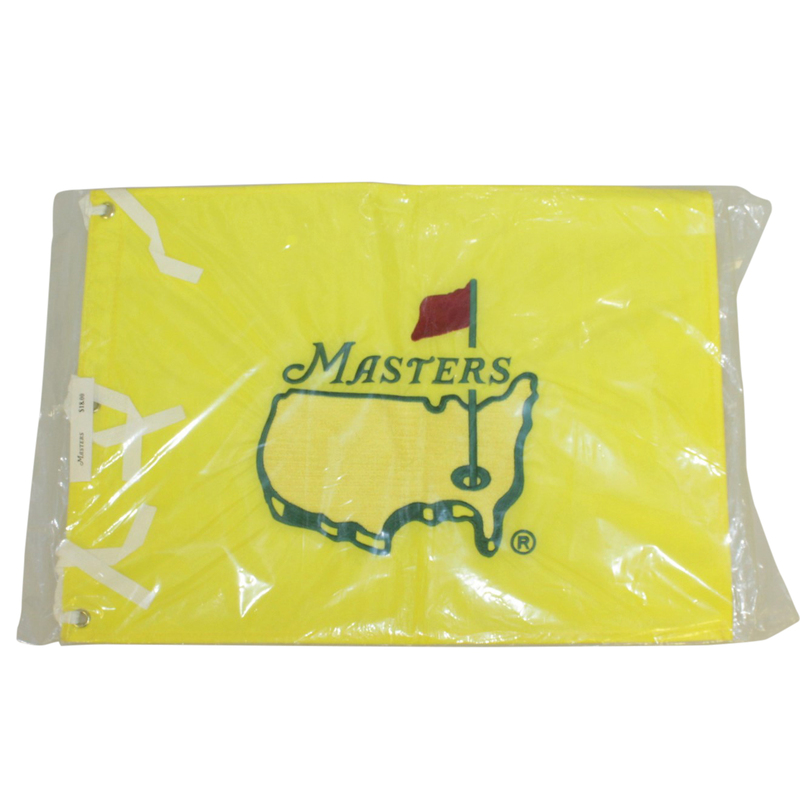 Verified prices for the 1997 Masters flags include Ebay realized prices of $5,300 and $5,800 (unsigned) and $6,800 at the last National Sports Collectors show in Chicago for a flag autographed by Tiger with Upper Deck authentication. "Two Great Items That Taste Great Together". ***Of note it has been five long years since we last had one of these beauties in The Golf Auction. That example did not appear in it's original wrapping. 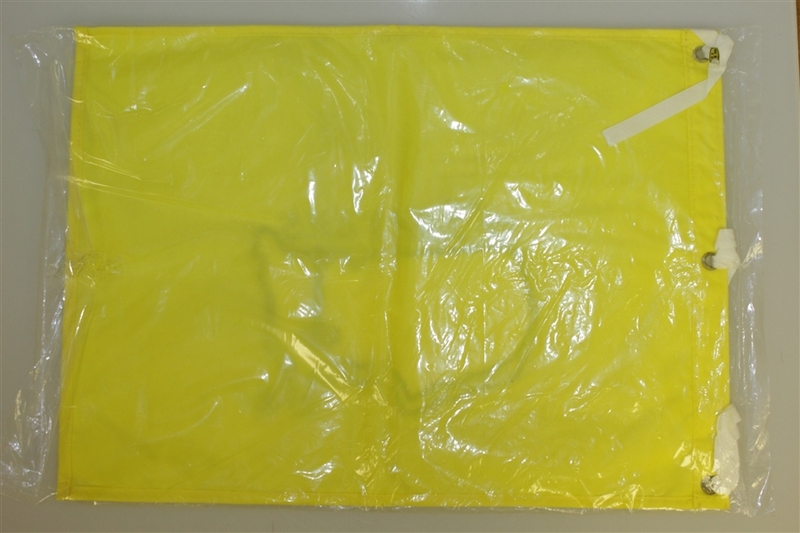 The 1997 flag we offer this time comes in its unopened form, "spectacular". With light plastic wrapper, the early version of the heavier plastic cover we have grown to know on latter flags issued by the Augusta National. Also note original $18 price sticker on this item, as always Masters continues to be price conscious to the public only raising the price to $22 almost twenty years later.